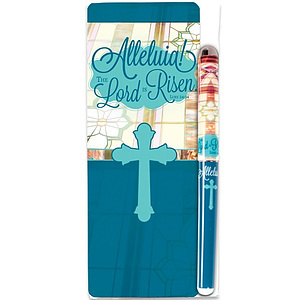 Celebrate Easter with this joyful pen and bookmark gift set. 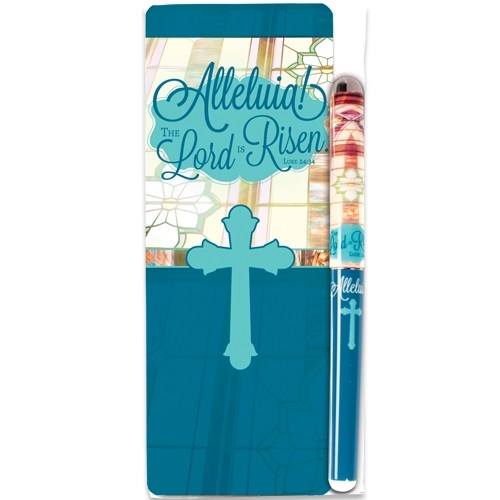 Bookmark features Luke 24:34, The Lord is risen on the front. Uplifting reflections on the power of Easter morning are on the back. Matching pen references the Bible verse, too. Packaged in a clear fold-over bag, the gift set is easy to hand out. Surprise church visitors and members alike with this useful, meaningful gift. Bookmark measures 2-1/2" x 6-1/2". Pen has black ink and measures 5-1/2". Alleluia! Pen and Bookmark Gift Set by CTA was published by CTA in February 2019 and is our 178th best seller. The ISBN for Alleluia! 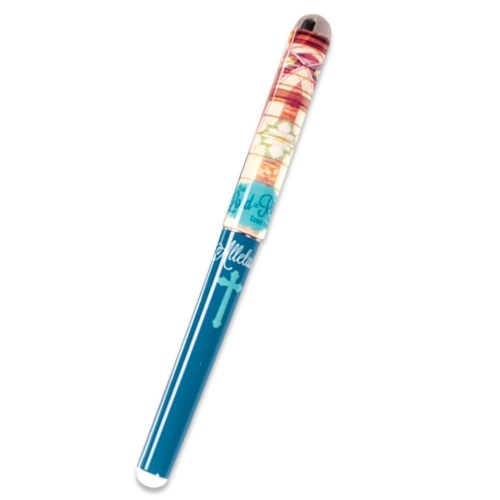 Pen and Bookmark Gift Set is TDALL19JST. Be the first to review Alleluia! Pen and Bookmark Gift Set! Got a question? No problem! 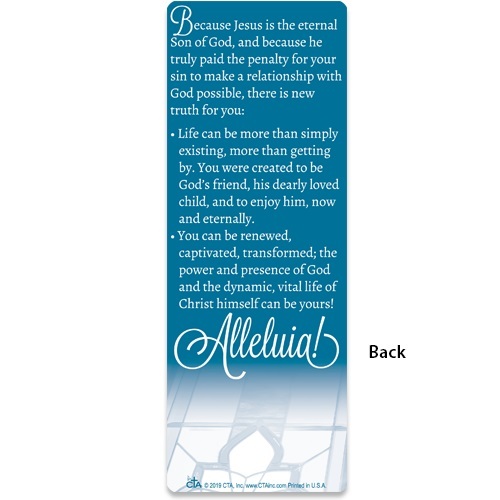 Just click here to ask us about Alleluia! Pen and Bookmark Gift Set.